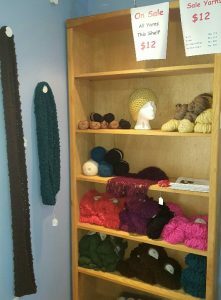 We are having our Year End Alpaca Yarn Sale! 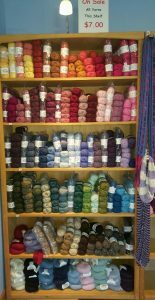 We have a selection of great yarns priced at 40% Off. You can see our complete selection in the shop or online (direct links are below). We have also place all our single knitting and crochet patterns on sale at $2.00 (originally $4-$10), and all of our pattern books that have multiple patterns are now 50% off (sorry, our books are not yet online). Now is the time to stock up for your winter projects! All our DK weight Classic Baby Alpaca Yarns and sportweight Glimmer baby alpaca yarns are now on sale for $5.40-$6.00 per skein. We have an incredible selection of colors, and enough in stock in many colors for your sweater or afghan projects. Colors are selling out fast, though, so shop early for your best selection. Super chunky Magna, incredibly fine Royal Baby Alpaca, airy El Cielo, and bubbly boucle Baby Alpaca Ultimo all reduced further. Baby Alpaca Ultimo is a lovely boucle alpaca yarn still available in several colors at just $9 per skein. One skein will knit up into a lovely alpaca scarf. We use size 15 or 17 needles, cast on 12 to 20 stitches and just knit. They make great infinity or straight scarves. El Cielo alpaca yarn is a beautiful airy mohair-looking yarn with the softness of alpaca; only 3 colors left in stock at $9.60 per skein. One skein will make up into a beautiful shawl, with free crochet and knit patterns online. We also like to work this yarn with a strand of our PacaPaint handyed yarns for a unique look. 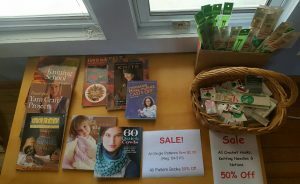 Knitting and Crochet Books, Needles and Notions are all On Sale 50% Off! We also have knitting and crochet books as well as knitting needles, crochet hooks and notions available for sale at 50% Off. These are not yet available online, so come on by the farm to enjoy these great deals. Single patterns for knitting and crochet are online and are all marked down to $2.00. We also have some of our fiber art equipment on sale. We have one 7 foot adjustable triangle loom and stand available in oak. We also have ball winders and a swift available on sale. And we have one single treadle Schacht Matchless Spinning Wheel available for sale at an incredible price (not yet online, but you can see it in the shop). We will be open daily through December 22. We also are having a great sale on many clothing and home decor items. And for those of you fiber lovers who would like to have your own alpacas to make your own yarns, we have fabulously fleeced male and female alpacas for sale. UPDATE: Everything now reduced to 40% off. 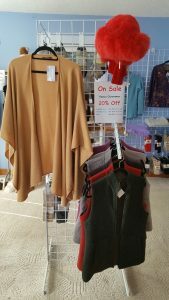 We are offering great discounts on alpaca items throughout the store. Come visit the store, or shop online. 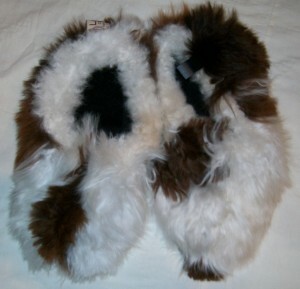 All alpaca outerwear, including our beautiful reversible coats and vests, as well as our lovely ruanas are available at 20% off their regular prices while supplies last. . Our incredibly popular reversible alpaca slippers are available at this fabulous discounted price. Alpaca blankets have also been reduced to 20% off their regular price. 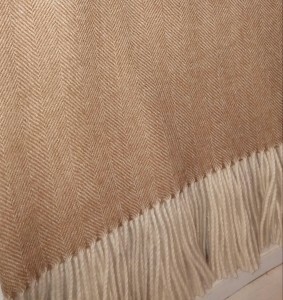 You can see our selection of solid color and herringbone patterned alpaca blankets here. 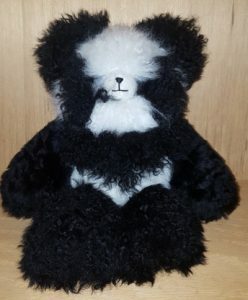 We also have some of our most adorable alpaca toys and alpaca teddy bears on sale. You can see them online, or come by the shop to give them a hug. 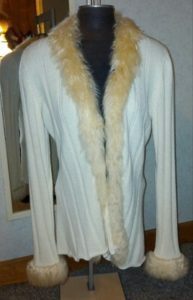 Our remaining alpaca sweaters are still on sale at 25-50% their regular prices. While our store and alpaca farm is for sale, we continue to be open every day our regular hours (Mon-Sat 10am-5pm, Sundays 1-5pm). Shop early for best selection.